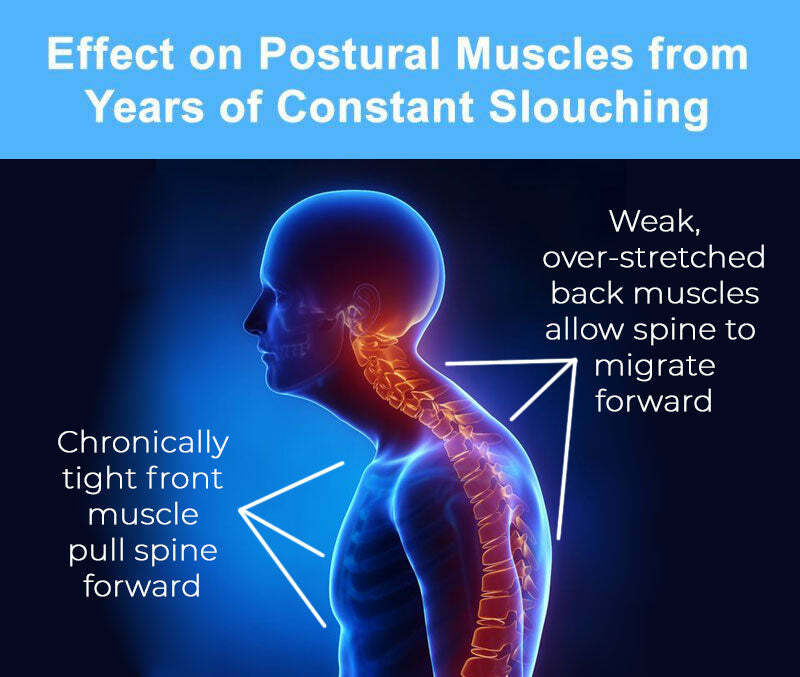 The motion of the BODY-ALINE corrects the muscular imbalance (between opposing muscle groups) that causes poor posture by training your body in the exact opposite direction of a slump. It stretches tight muscles in the front and strengthens the weak muscles the in back, while providing a soothing massage to the muscles along the spine. 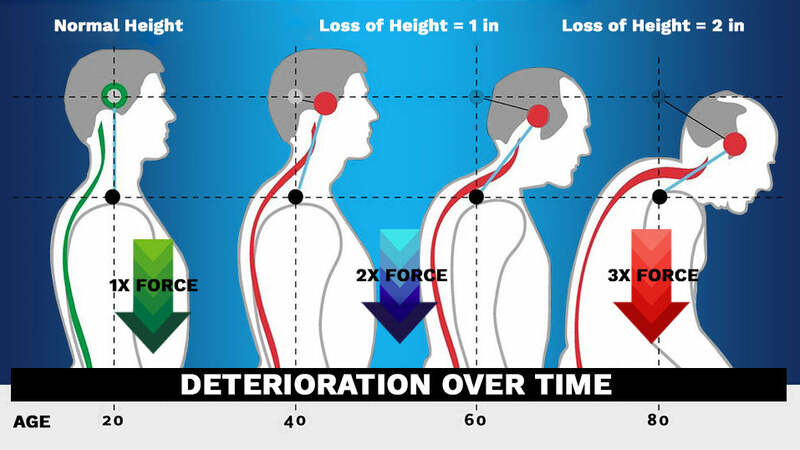 The immediate & long-lasting effectiveness of the BODY-ALINE exercise machine is based on the tried & true therapeutic principles of “Mirror Image Muscle Rehabilitation.” Simply stated: if poor posture is caused by habitual forward movement, resulting in a slumped outward appearance, then the condition can be reversed with a guided exercise movement in the exact opposite direction. The mechanical action of the newly trained muscle groups acts upon your skeletal system to reverse the forward “tug-of-war” responsible for poor posture, which draws your spine back into proper alignment. 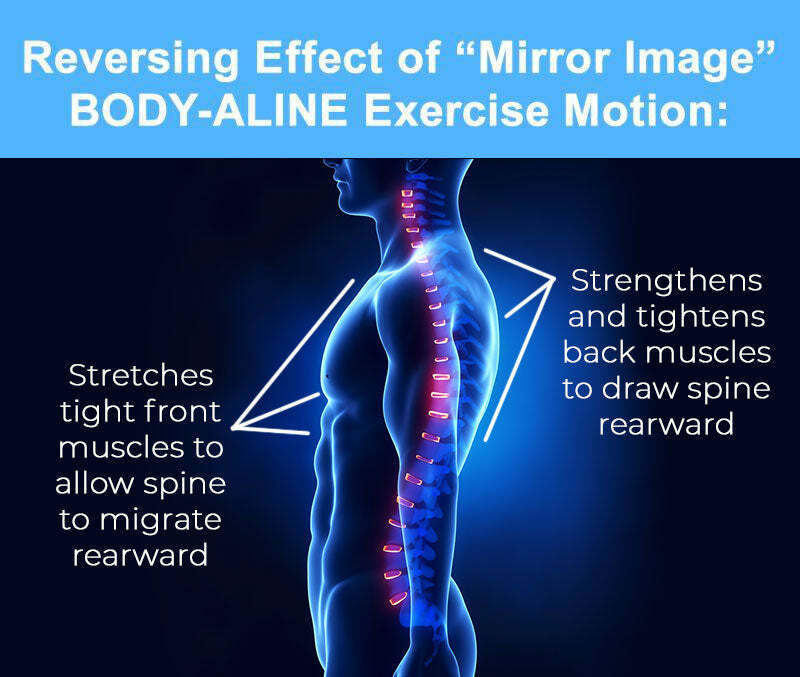 The realigning effect of the BODY-ALINE exercise movement can be seen & felt immediately. Most people stand-up taller & straighter directly out of the machine after the very first use (and every time after that)! Multiplies the Pressure in Your Spine!